Last edited by HardRacing; 03-31-2019 at 02:32 PM. Waiting for Kitaco to give an answer. Thanks for asking, HR. I’ve been curious about this starter. I’m guessing it was recently released? Haven’t seen any listed until recent. This is a reinforced electric starter motor specially designed by Kitaco Co. in Osaka, Japan. It fits Honda Grom 125 all models. We all know that it is nearly impossible to use genuine one when you install a big bore kit on your vehicle. Here is THE solution, no more pain starting your engine using this PLUG & PLAY hi quality model. Fittings are similar as genuine one therefore it is very easy to install. We recommend to use a stronger battery to get optimal performances. 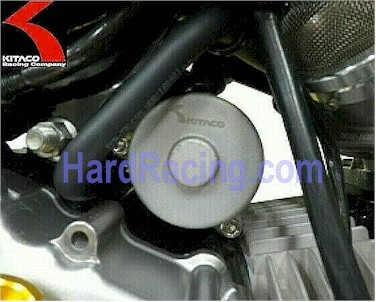 DEVELOPED FOR HIGH TUNED MOTOR. 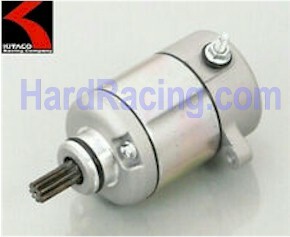 STRONGER STARTER MOTOR HELPS YOU START ENGINE EASILY. ※BATTERY REQUIRES ENOUGH POWER (NEW BATTERY RECOMMENDED). Last edited by CiscoSanJose; 03-30-2019 at 01:24 PM. MSX UD ITA likes this. WOW.... definitely, a big improvement over stock. Only took about 5 min to install with 2 wrenches. Brand new product, just released. Unfortunately, Kitaco says they won't have more for 3-4 months. We will most likely sell out of our Stock on these in the next 24-48 hrs............. Frustrating. I installed mine yesterday. Super quick n easy install, and now it starts like a normal bike again! Since doing the NEO kit, it has required a combination of multiple bumps on the starter button, and occasionally having to roll it back off the compression stroke to make it start--even with a lithium battery in good shape. Stoked to not have to worry about this stuff anymore! thanks HR and Kitaco! HardRacing and GROM_MSX like this. I did order 2 of these starters since it was such a good price on spring break sale overseas and it will be spares in case my 2014 OEM starter dies. Yes it is a 2-3 month wait to get these starters but cheaper than a HD Finbro starter.